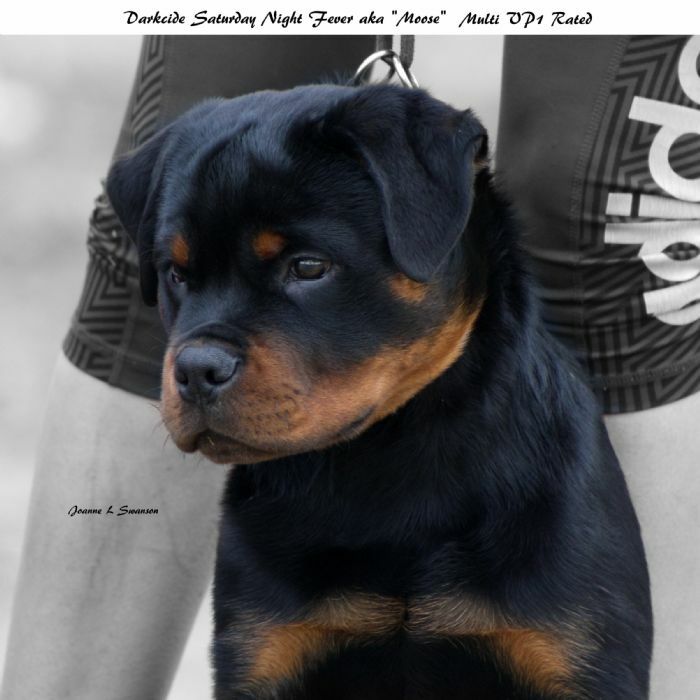 Moose is one of the new kids in our show team, he has a very attractive strong head with dark eyes, very dark mouth pigment, compact body, excellent front and rear angulations, very good movement with energy to spare and a wonderful temperament. Moose resides with his dad "Notch" and his human parents Ryan & Hannah. Lovely strong head, 17 months old. Moose and his dad Ryan, 17 months old. A beach romp, 6 months old. I wuv you Tyler, 7 weeks old. Ready Set 7 weeks old.